● Sitewide coupon codes are infrequent, but check the Specials section for DVDs discounted in the range of 10-40%. In general, gift sets are prominently featured within Specials. ● Also within the Specials section, check for DVDs which may feature a free gift, such as a limited-edition poster, included in the purchase price. Shout! Factory is a company that specializes in the retail of original film and television DVDs, as well as music CDs and children’s CDs. This company’s merchandise are segregated into categories for easier browsing – including new and upcoming releases, staff picks, kids and family, horror, comedy, drama, and numerous others. They also provide video clips so that consumers can gain access to snippets and previews of certain films or television shows. Their Shout! Blog features some of the latest movie and TV releases as well as lists and other articles that focus on films and shows. They allow individuals to place orders for delivery and issue payments online via their website where they offer visitors a complete catalogue and product line-up. 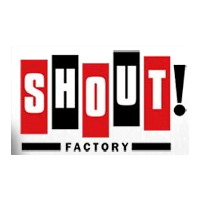 For most up to date offers check out Shout Factory on Facebook and Twitter or contact Shout Factory Support for any questions.